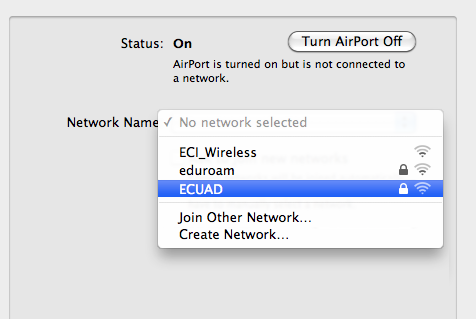 1) Click the Wireless icon at the top of the screen. 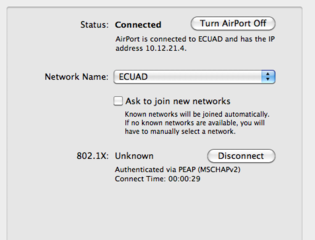 If the Airport is currently off, click Turn AirPort On . 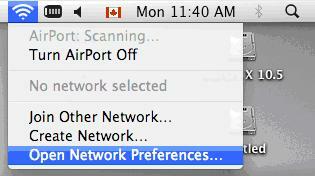 2) Click on Open Network Preferences. 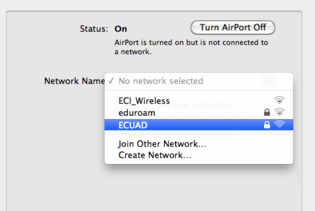 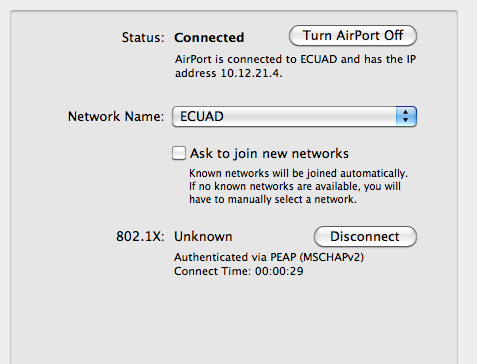 3) Under Network Name , select ECUAD. 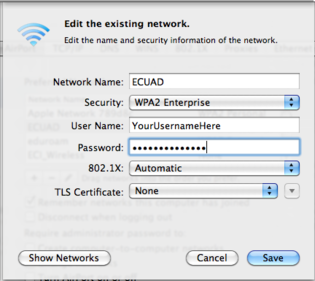 If the Name does not appear on the list, Select Join Other Network, and enter the name. 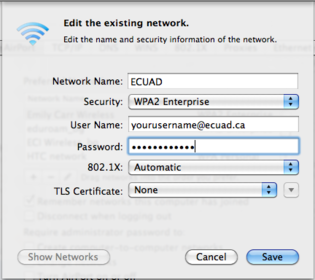 Enter your e-mail username and password, and they will be stored for your future use. 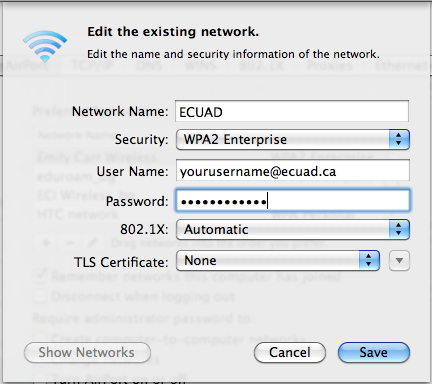 If you used Join Other Network, you will need to set the Security to WPA2 Enterprise, and fill in the rest as above. 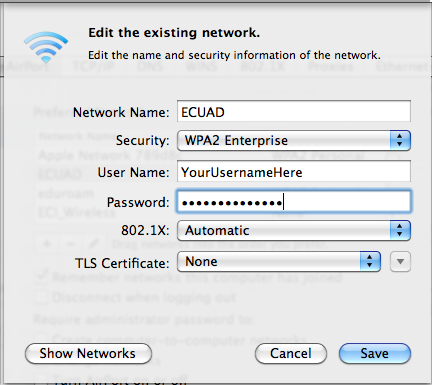 Your password is no longer stored on your Mac. 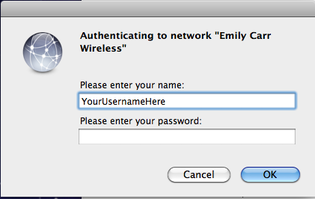 If that happens, you should see a requester asking for your password. 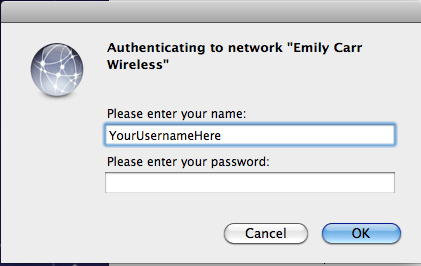 Simply enter your password again.